THE education sector will continue to experience problems at all levels from elementary to tertiary. These problems in part are unavoidable for a developing economy such as Papua New Guinea. Perhaps the biggest challenge that faces the government at the moment is how to build the capacity of the system to cater for everyone. Free education and the issue of project fees is only one problem the state must deal with. It is now more clear that the number of learning institutions simply cannot accommodate the growing ranks of students pouring into the secondary and tertiary levels on a yearly basis. In pre-Independence times the challenge that faced the colonial government was to build up the ranks of skilled workers among the local population to eventually take over the Australian administration. 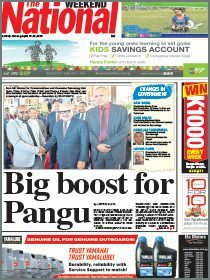 This would ensure that the sovereign state of PNG was for the most part self-governing and able to function as an independent entity. The challenge then was really about getting as many of the best and brightest students to study and train to become the nation’s first administrators and managers as well as filling in the other positions in society in health, education, industry and so on. The country had a post Independence population of 3.5 million and growing at a healthy rate of 2.8 per cent which basically means it increased by 98,000 taking into account the death rate. 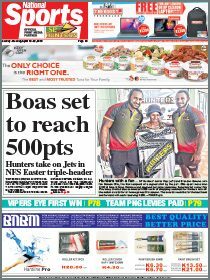 Over the next 40 years the rate, according to World Bank estimates, has never gone below 2 per cent and PNG’s population is now north of 8 million – 2013 WB figures have the country’s population at a conservative 7.3 million. Needless to say, there are a lot more students, many of them bright and capable keen to learn and better themselves, but they are faced with a range of challenges one of which is the limited number of spaces available. With the bottleneck forming from the secondary to the university/college level, the system has responded by placing quotas on spaces. It has done so in terms of the grade point average for courses as well as how a student’s choice (first to third) of institution put on their year 12 school leaver form is actually another default screening process the system is forced to use to preen the top percentile for the privilege of taking the most sought after courses. This was made none more so evident when University of PNG Vice-Chancellor Professor Albert Mellam urged guidance officers in schools to advise their pupils well with regards to choosing institutions and courses which would more likely to be successful in one of their choices. “The first choice is a luxury in this country and it’s so critical and that’s not our control. That’s a matter of the Education Department and guidance officers in schools,” Prof. Mellam said. UPNG registrar Jennifer Popat discouraged students from selecting course at different institutions because it invariably reduced their chances of gaining admission to one as institutions would disregard a student if he or she was not successful in the first choice of course to study. That is sound advice coming from two experienced professionals in the field but it also highlights the problem of the limited number of spaces the schools throughout the country are facing. Opposition leader Don Polye blames economic mismanagement to be another underlying cause of the state’s inability to cater for all students. In many developed and even some developing nations they cannot get students to go to school and stay in school, while in this country, students have to earn the grade (the GPA is sometimes seen as a moving target with the latest trend being generally upward). But before that the battle to get educated begins at the elementary and primary school level where the conditions are not always conducive to learning with over-crowding and consequently a lack of adequate resources the usual hindrances to the sound educative process. To this end the PNG Teacher’s Association office has called on the Education Department, in particular acting secretary Dr Uke Kombra to set an official target for teacher-to-pupil ratio. The third challenge facing students has nothing to do with their ability but with money. The amounts of charged by schools, especially private institutions are restrictive and do not necessarily account for the background of the student despite his or her ability. These are the main challenges facing the state and they are all addressable.